THERE ARE ALTERNATIVES SO WE DON'T HAVE TO EXPOSE OUR FAMILIES, NEIGHBORS, OR COMMUNITY TO TOXIC PESTICIDES. A YARD CAN BECOME EVEN MORE BEAUTIFUL WHEN WE BUILD THE SOIL AND KEEP OUT POISONS. FIND INTERVIEWS AND PESTICIDE FREE LAWN CARE TRAINING VIDEOS BELOW AS WELL AS VIDEO FROM THE COUNCIL MEETINGS! Safe Grow Montgomery (www.safegrowmontgomery.org) is pleased that Healthy Lawns Bill 52-14 will become law on October 20, 2015. Montgomery County Council in Maryland voted 6-3 on Tuesday, October 6th to pass Bill 52-14, with a veto-proof majority. With over a million residents, Montgomery County is the largest jurisdiction to enact legislation restricting the non-essential use of pesticides for the protection of public health and the environment in the U.S. Amendments were made to the original bill to address Montgomery County Executive Isiah Leggett’s concerns prior to the vote. Amended Bill 52-14 incorporated the Parks Department’s suggestions on parks and playing field management, and alleviated the Dept. of Environment’s concerns of administrative burden. Mr. Leggett refused to sign the bill despite acknowledging children’s health risks from lawn pesticides in his October 19th memo. He referenced potential lawsuits in his memo, which have been threatened by the Farm Bureau and pesticide and chemical turf care lobbying groups. “Citing potential lawsuits as an excuse not to sign the bill cedes control to corporations of a community’s right to protect public health,” says attorney Chris Nidel, Rockville resident and supporter of Bill 52-14. Montgomery County staffs a legal department because lawsuits are a possibility with all legislation. The bill is very popular among county homeowners and residents. More than 4,700 – 85 percent – of all letters and petition signatures received by the County Council supported the resolution. Over 40 environmental and health advocacy organizations and businesses joined with Safe Grow Montgomery to support and advocate for the bill. “CASA de Maryland supports the further restrictions on the use of cosmetic lawn pesticides throughout Montgomery County. Reducing the use of cosmetic pesticides is a social justice issue: it will benefit those who have little to no say over what chemicals they and their families are exposed to on a regular basis,” states Alma Couverthie, Director of Welcome Centers and Education for CASA de Maryland. Even though intense industry pressure continues, there is no evidence that the bill will harm landscape jobs. The demand for workers and applicators will continue with a transition to safe lawn care practices, including the use of safer organics-compatible EPA registered products allowed under the bill, and the permitted use of conventional pesticides for specific targeted uses. Many lawn care companies in Montgomery County, MD are already equipped to offer these safer services. Bill 52-14 will grow jobs in the landscaping industry as has been proven in Canadian jurisdictions that enacted similar restrictions. It also presents opportunities for companies to be sustainable lawn care leaders for the Metropolitan area. Council President Leventhal, and the other co-sponsors, Councilmembers Marc Elrich, Tom Hucker, Nancy Navarro, Hans Riemer, and Nancy Floreen, recognized the need to act where Federal and State regulations have failed to fully protect human and environmental health. Under this new law, the health of the county’s residents, the local water, soil and air quality, pets, and pollinators will be protected from non-essential use of harmful lawn pesticides, herbicides. The law will take effect on county-owned lawns on July, 1 2016, and on private lawns on Jan. 1 2018. Pollinators including honey bees and wild bees make significant contributions to garden plots whether producing food or flowers. 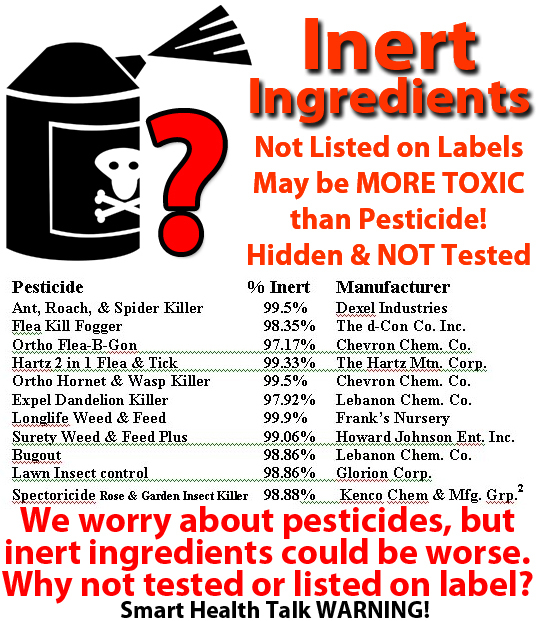 Pesticides applied to lawns for cosmetic purposes can include products with active ingredients known to be hazardous to pollinators (see addendum for details). Bees and other pollinators would benefit from your adopting Bill 52-14. Having a beautifully landscaped yard with green-carpeted turf and colorful seasonal flowers has always been important to my husband and me.When our natural doctor first suggested that some of our son’s health problems could be linked to pesticide exposure in our lawn, I was mortified. How could that be possible? Don't most people treat their lawns in some way or another? Don't children everywhere play in the grass on a daily basis? When we decided that changes were in order, we were sure that saying “goodbye” to our beautiful lawn was unavoidable. I reached out to a landscaper for advice and was pleasantly surprised when he not only didn’t cringe when I spoke the words “chemical-free yard,” but he actually embraced it! In fact, this very man had spent years on researching the countless benefits of a healthy, balanced soil. He explained to me that using pesticides to kill unwanted weeds in the yard is very similar to using antibiotics to kill unwanted bacteria inside of the body.In the process of killing what you do not want, you are also killing the powerful, beneficial microorganisms that your soil needs to survive! After time, and repeated use of chemicals destroying these needed microorganisms, the health of your entire soil can be seriously compromised just as the health of your body could be compromised with long-term use of serious antibiotics. I’ve been picking this man’s brain for a long time. Together, we’ve made some significant changes to my family’s lawn. We pull weeds instead of covering them with chemicals. We treat unwanted insect pests naturally. The surprising results? Our lawn is gorgeous! People everywhere ask us what we use. I believe his message is such a powerful one that I’ve asked him to be a guest blogger for the ToxicFree® Blog. I’d like to introduce you to John Newman, owner of Classic Landscapes, Inc. Enjoy his blog! Our View on DirtSoil is misunderstood by many in our country. When you think of the reputation of something that is “dirty” you get a negative connotation. This happens whether it is reading material, children or dishes in your sink. If we can learn about the soil that supports our life here on earth and how it works, we will all benefit. You may argue you aren’t a gardener, so this doesn’t pertain to you, but many of us don’t consider that most of the products we eat and use contain ingredients that came from the soil at some point. What is the Soil Food Web? We all view dirt differently. Some of us embrace it while others try their best to avoid it. But, regardless of your opinion on dirt, a very important fact exists—healthy soil is alive and the Soil Food Webdemonstrates it. Healthy soil is full of living microorganisms, such as nematodes, protozoa and many other things I won’t try to pronounce or spell. When native soil, in its unaltered state is kept out of harm’s way, it does not need additional inputs that nature is not already providing itself for plants to grow and thrive. Healthy soil is like a micro-kingdom of sorts with checks and balances set up to work beautifully. Then we come along and disturb the situation with grading, gardening and other worthwhile endeavors. Healthy soil is full of life and normally dominated by beneficial bacteria and fungus.One man’s weed is another’s flower. We try to determine what we want growing in our gardens, yards and golf courses by chemically altering our properties to disallow certain varieties of plants to grow such, as dandelion or crabgrass. The best analogy for what we do in our landscapes is seen in the medical world where we have used antibiotics to kill off certain diseases in our bodies. Antibiotics, by definition are “anti” which means “against” and “bio” which means “life”. When we want a pathogen killed to preserve our lives, antibiotics can be a literal lifesaver, but they still indiscriminately kill off beneficial living organisms in our gut. This throws off our gut balance. Considering our gut health is a significant part of our immune system, when we throw off our gut health, we can compromise the health of our entire bodies! This balance of life is very similar in the soil world. Beneficial microbes live in healthy soil and keep disease at bay by forming symbiotic relationships with plants to keep them healthy. When we apply herbicides and pesticides, we indiscriminately kill off beneficial organisms that help keep certain “bad” microbes from hurting, maiming or otherwise killing off existing plant life. 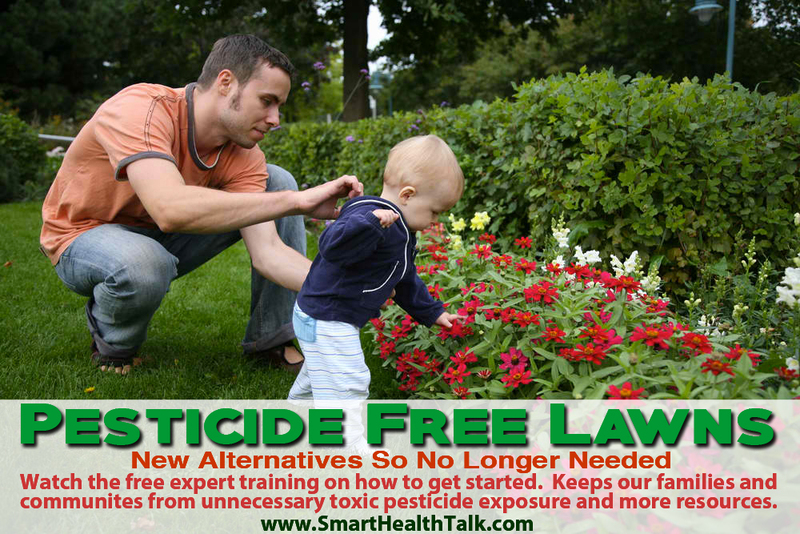 An Imperfect WorldBy eliminating pesticides, such as Sevin, and herbicides, like Roundup, you will see “weeds” or “bugs” in your lawn or garden if you don’t physically pick them or provide other deterrents to their proliferation. This natural balance can be achieved if you are open to an imperfect world where some “weed” plants or “bugs” are acceptable and perfection is not demanded. The organic approach is making strides toward mainstream understanding and is being embraced by more people across the U.S. When people realize the organic approach takes more labor, it sometimes takes a back seat to the traditional approach. This is the same choice we must make in the grocery store when it comes to purchasing produce free of pesticides, and meats and dairy free of antibiotics, growth hormones and other pharmaceutical drugs. How can we harness the power of nature instead of working against it? For starters, we can actually add beneficial living organisms to soil when we install and maintain new plants. Woody and perennial plants (plants with a life cycle of more than one year) such as trees, shrubs and vines thrive in fungally-dominant soils and specific microbes can be added depending on what you are planting. Annual plants, such as vegetables and pansies, thrive in bacterially-dominated soils. Make sure your soil is not compacted, drains properly and has good structure so that air and water can enter and pass through it appropriately. Compost can add micronutrients that allow flourishing of microbes. Compost tea brews are now becoming commercially available and will gain popularity when more people learn how well they support plant life. In almost all circumstances, discontinue roto-tilling (in established garden beds). This destroys the soil food web and years of work done to set up a property for great plant life. Add mulch to your landscape to deter erosion, weed growth, and to insulate it in the winter and cool the land in the summer. Working with nature instead of against it in farming, gardening and landscaping can yield benefits many are not aware of and will help you create better yields, gardens and landscapes long-term. If you'd like to learn more, authors such as Elaine Ingham, Jeff Lowenfels, and anyone who writes about the "soil food web" are great resources. Find out how cities and counties are taking action to keep pesticides out of their community environment, neighborhoods, parks, waterways, and even oceans such as in Maine where runoff from city use was endangering the entire lobster industry. Since these steps require new skills, protocols, materials, and elimination of previous practices, there are many who resist the change. Jay Felman, Director, Beyond Pesticides, who has fought against poisoning of our food and environments since 1981, explains why policies have to be in place in our interview below. Listen to hear how communities are already seeing the importance of taking action by coming together and putting policies in place as without them compliance cannot be guaranteed. 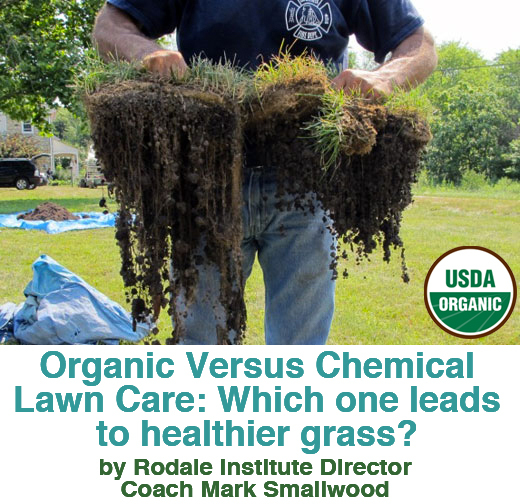 Old lawn care practices no longer make sense with new research pointing to high risks that negatively influence our health and environments. WE NEED TO TAKE THE PRECAUTIONARY PRINCIPAL AND NOT EVEN TAKE THE RISK! Instead of ignoring the facts, and continue to dump more pesticides on our lawns, we can instead make the effort to learn new skills (see training video below), and take advantage of the possibilities to develop whole new industries that will bring jobs and businesses that support practices that will protect our families instead of exposing them to unnecessary risks. 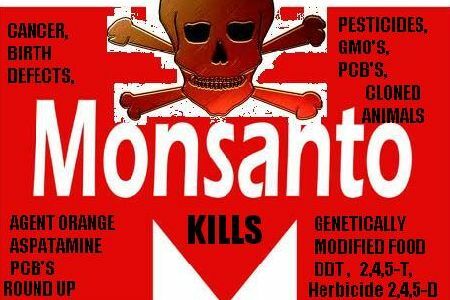 Those that fight this change are special interest groups that sell products using pesticides. They try and present doubt by saying there is no conclusive evidence that there is a risk. This is far from the truth, as there is all kinds of research that proves THERE IS HIGH RISK. The follow the PRECAUTIONARY PRINCIPAL is to say if there is ANY DOUBT, why risk it at all? Jay reported how young people are seeing the vision and the potential for making money in these new environmentally friendly services, just as many are embracing organic farming. We all live together in our community, and the action of one can impact many, and why we need to take personal responsibility to move away from practices that we know pose serious risks. "Pesticides pose the greatest risk to children. Both before they are born, and during development and growth. Lowers IQ so loss to our country as well." 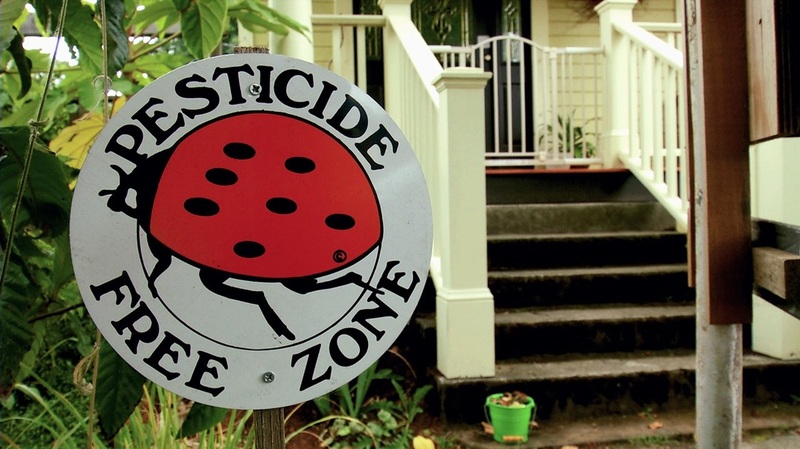 Listen to this interview with Jay Feldman, Director, Beyond Pesticides to hear how whole cities and counties are taking action to chang﻿e l﻿awn care practices by coming together and passing policies that say NO to pesticide use. Jay Feldman has been the Director of Beyond Pesticides since 1981, and is one of our top pesticide experts in the country. If you want to understand the harm involved with pesticide use, and why our families and environments are at risk of damage that may never be reversed, please listen to this interview. Consider this one of the most important Smart Health Talk interviews in our history. People are concerned about pesticides, and want to support change. The good news is you can start now at home and collectively we make a big difference. Information below on how to begin! The Maryland Voter Poll says it all! Click here to read the whole article. Safe Grow Zone Act. Now want countywide. Find out from experts on how you can get away from toxic pesticide use around your home, business, city, school, park, or field. There are better ways that can give you an even more beautiful landscape that DON'T force our families, pets, neighbors, and anyone that passes through an area that is fresh with poison to be exposed. Poison becomes airborne, and water runoff transports it to all kinds of places that go into neighbors yards, lakes, rivers, and oceans. Collectively this can lead to devastating consequences for us all. When we do our part to protect our communities, especially those most at risk such as growing children and innocent wildlife that have no way of protecting themselves, we are doing what is right and can feel good about. 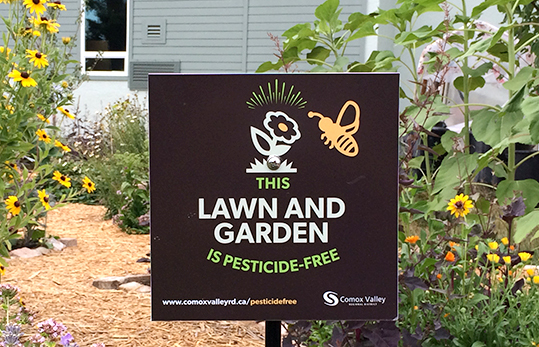 Read how communities are coming together to help each other eliminate pesticides in their neighborhoods. Great resource. Click to go there. PESTICIDES ARE BEING SPRAYED ALL AROUND US. UNTIL WE TAKE CONTROL AND SAY, "You cannot come on our property without a warrant or our permission to spray a toxic substance. When we spray toxins in our yard it can drift into our neighbors yard and all the way into the ocean in a storm drain. Watch this video to sit in on Montgomery County Council meeting on Bill 52-14 to prohibit NON Essential Pesticide use that many feel is already causing harm to people and the environment in their county. View how the opposition that speaks first attempts to create doubt and discourage any action to stop continued use and keep business as usual despite all kinds of new research pointing to HIGH RISK. 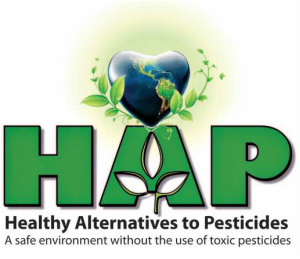 Those speaking out to encourage change quote all kinds of new studies that have been published since laws passed decades ago that associate pesticides use with a long list of diseases. It would seem logical since these pesticides are designed to do nothing but kill and destroy cells of living things at even very small exposure, and effects are cumulative over time so risk keeps getting high and higher with continued use. Why action to stop use all together and not take any risk is the ONLY course of action to protect our communities. Jay Feldman, Director of Beyond Pesticides speaks around the 40 minute mark. Pesticide use is changing our soil by killing microorganisms that pull carbon from the air. Lose-Lose as more carbon released into the air, and the nutrition for plants produced by the organisms is lost. Go to our "Climate Change" page to learn more. 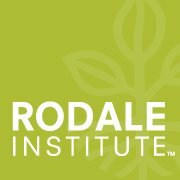 Start with these Rodale tips for lawn care that help free you from pesticides. 1. Mow High. Foster deep roots and shade out weeds by mowing your lawn high – 3 to 3.5 inches. Mow frequently, and make sure those mower blades are sharp! 2. Aerate. Aerating the soil reduces compaction, a major cause of weeds. Leave the corings behind after you aerate, and then apply fertilizer so that it can reach the root zone. 3. Fertilize Gently. Just after aeration is the best time to apply fertilizer – but go easy! Use an organic fertilizer like compost, and use it sparingly. Excess nitrogen and phosphorous run off into local waterways when it rains, causing major water quality problems. Getting a soil test first from your county cooperative extension office tells you exactly how much fertilizer you’ll need. 4. Overseed. Overseed your lawn with an appropriate species (centipede and zoysia are strongly recommended for North Carolina’s warm climate). This is a great way to start converting your lawn if you currently have a cool-season grass such as fescue. we ask if there's a connection, and if all that play on these fields are at risk? in 1964. Later named ASTROTURF. 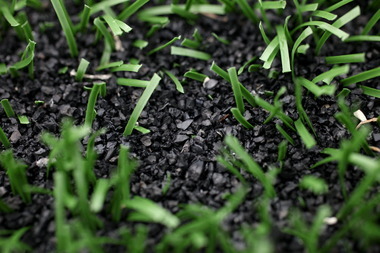 Over 11,000 Sports Fields and thousands more Playgrounds have been made with tiny black crumbs, which are made from old tires, are poured between artificial blades of grass. The selling point being lower cost for maintenance and ability to create bounce and reduce injuries on the field. Environmentalists have cited pellets as a concern, questioning whether compounds from recycled tire rubber can run off the turf and pollute rivers, lakes, streams and groundwater. Butylated hydroxyanisole: Recognized carcinogen, suspected endocrine, gastrointestinal toxicant, immunotoxicant, neurotoxicant, skin and sense-organ toxicant. There is no available data on cancer, mutagenic toxicity, teratogenic toxicity, or developmental toxicity. **Lead is especially toxic to children under 6 years of age, and why some facilities are limiting access to children under that age and not allowing use of the facilities. Lead can cause problems with a child's growth, behavior, ability to learn and destroy blood cells that leads to anemia and damaging organs. When evaluating safety the ONLY TOXIN BEING TESTED IS LEAD. Testing is not being done for other toxic chemicals found in old tires. With the high rate of soccer goalie cancer rates, there is a question whether crumb rubber is connected. Could take years to prove, and possibility could cause more cases in the meantime. 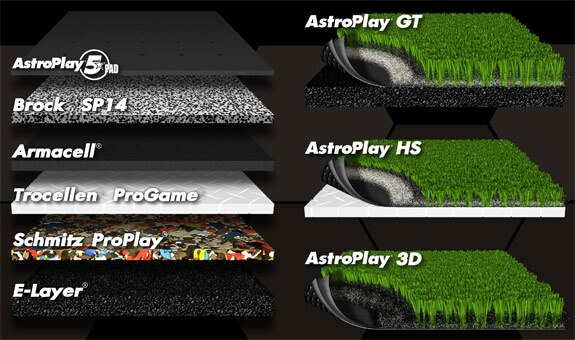 Crumb Rubber, also called styrene butadiene rubber, was developed in 2000 as an answer to the less popular artificial turf called ChemGrass or AstroTurf. The tiny black crumbs, which are made from old tires, are poured between artificial blades of grass, giving the turf more bounce and reducing the risk of injury on the field. In recent years, however, there has been an increase in the number of young athletes, particularly soccer goalies who spend much of their time in close contact with the turf, who have been diagnosed with non-Hodgkin lymphoma. The increase in cancer diagnoses has many people questioning the safety of crumb rubber and asking for answers. A school in Oregon was able to eliminate the rubber crumbs with the help of Nike that provided old tennis shoes instead of old tires. The Connecticut Agricultural Experiment Station study conclusively demonstrates that the tire crumbs and tire mulch release chemical compounds into the air and ground water. Thus, tire crumbs constitute a chemical exposure for humans and the environment. 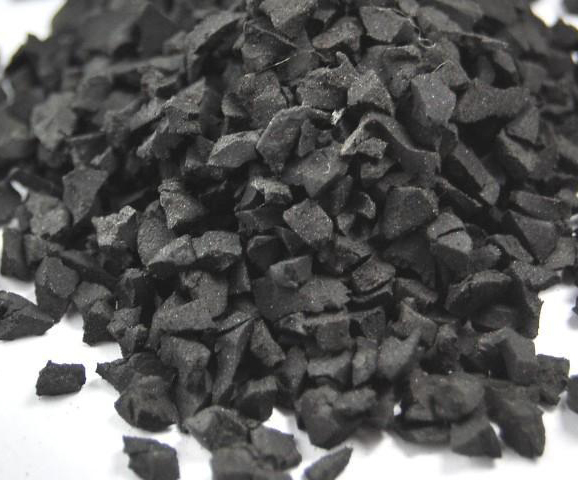 It is clear that the recycled rubber crumbs are not inert, nor is a high-temperature or severe solvent extraction needed to release metals, volatile organic compounds, or semi-volatile organic compounds. The release of airborne chemicals and dust is well established by the current information. The Connecticut Agricultural Experiment Station research conclusively demonstrates that release can occur under ambient conditions experienced in the summer in Connecticut. Those published health assessments that indicate de minimis risk should not be applied to the synthetic turf paradigm and may not be appropriate for playgrounds with open layers of recycled tire crumbs. Health endpoints of concern are numerous, including acute irritation of the lungs, skin, and eyes, and chronic irritation of the lung, skin, and eyes. Knowledge is somewhat limited about the effects of semi-volatile chemicals on the kidney, endocrine system, nervous system, cardio vascular system, immune system, developmental effects and the potential to induce cancers. There are still data gaps that need to be filled in and additional studies are warranted. The excess amount of zinc in the rubber tire mulch makes it unacceptable to be used in gardens. Are the artificial turf fields that you or your kids play on safe? The U.S. Consumer Product Safety Commission and U.S. Environmental Protection Agency have launched an investigation to find out, and they hope to release their findings this summer. Meanwhile, parents and athletes concerned about lead in such fields can take precautions, say Eddy Bresnitz, deputy commissioner of the New Jersey Department of Health and Senior Services, and Dale Kemery, an EPA spokesman. Wash hands, face and body after playing on an artificial turf field. Take off clothes worn on synthetic surfaces inside out, then wash separately. Field custodians should water the fields before and after they're used to reduce dust raised by heavy play. Before having a surface installed, schools and towns should ask vendors to test the turf for potential contaminants in the material, including turf fibers and infill. If a field is found to have high lead levels, consider limiting access by the most vulnerable population: children younger than 6. "EPA recommends that anyone who believes they may have been exposed to hazardous levels of lead should consult with their physician," Kemery says. "Children under age 6 are most at risk from exposure to lead. Consult your doctor for advice on testing your children."